An Amazon spokeswoman said the company is working on "engaging with our new neighbors...and community leaders." The company recently hired a PR and lobbying firm to assist with its "community outreach" efforts. “We’re focused on engaging with our new neighbors - small business owners, educators, and community leaders. Whether it’s building a pipeline of local jobs through workforce training or funding computer science classes for thousands of New York City students, we are working hard to demonstrate what kind of neighbor we will be,” Amazon spokeswoman Jodi Seth said. If Amazon does decide to scrap - or dramatically scale back - its plans, it's unclear where it would go next. 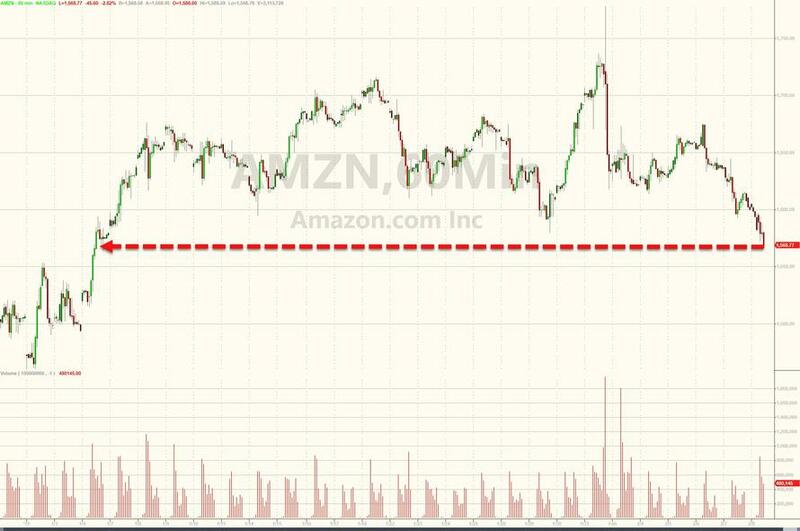 The news added to the woes for Amazon shares, which touched their lows of the day on the headline. 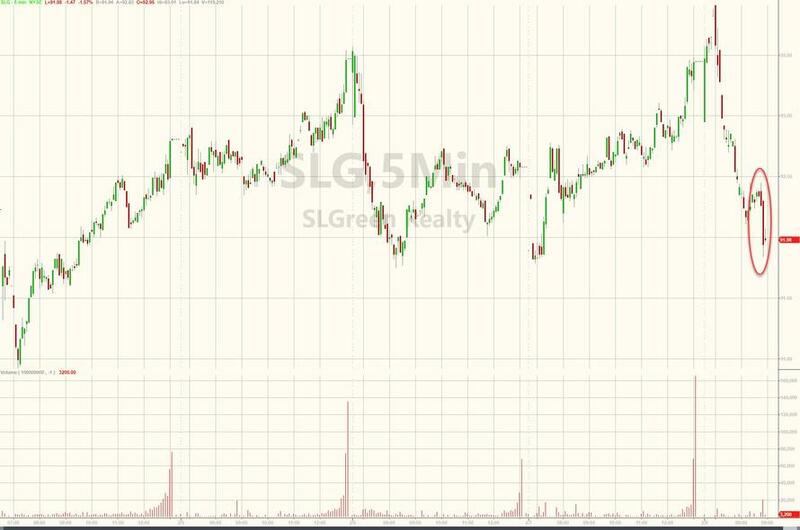 And shares of SL Green Realty Corp., an REIT that rallied on the heels of Amazon's announcement, has seen its shares sink in response as well. The fact that the report appeared in the Bezos-owned WaPo (not that the Amazon CEO would ever dream of leveraging WaPo for the purpose of weaponized journalism) makes this a clear warning shot: Cuomo needs to get the troops in line. Or miss out on one of the 'greatest economic development opportunities' of his tenure, as one of his spokespeople put it the other day.